New York City’s $25.9 million database holding information on tens of millions of dollars in unclaimed forfeitures could experience a technical failure at any time with little hope of recovering the underlying information, Courthouse News reported this week. During a court session related to a 2014 request by nonprofit Bronx Defenders to study NYPD records on forfeitures—a hotly contested tactic in which police seize the assets of people believed to be involved in crime, but who have not been convicted—city attorney Neil Giovanatti said data put into the department’s Property and Evidence Tracking System cannot be extracted en masse. That would also mean there is also no capability for the NYPD to back up the data, meaning that a power surge, database corruption or other technical malfunction could leave it inaccessible forever. According to the Courthouse News article, former Department of Housing Preservation and Development chief enterprise architect Robert Pesner disputed the NYPD’s account. In an eight-page sworn declaration, he wrote the NYPD’s argument “refers only to a user interface, rather than a database,” and “it is technologically feasible to retrieve much of the data sought from PETS by running queries directly on the underlying DB2 database.” Pesner added it is common practice for system admins to bypass UI limitations and run SQL queries directly on databases, so the NYPD should have no problem doing so. However, that did not necessarily address the question of whether the NYPD actually does not have a backup of one of its most sensitive databases. Though the City Council only recently passed a bill requiring the NYPD to disclose to the public just how much cash and assets it is seizing from suspects, reporting suggests the tally is millions a year; according to the Village Voice, a single year’s worth of property clerk data revealed the agency had over $68 million in seized cash on hand. Department management allegedly incentivizes officers to seize assets, which are then used to fund police operations and related expenses like pension funds. The targets are mostly low-income New Yorkers who have limited resources to retrieve their funds. Update 10/19/2017: The NYPD has challenged the accuracy of what Courthouse News reported was the city attorney’s version of its data management practices, saying it does have the capability to back up the system and does so regularly. 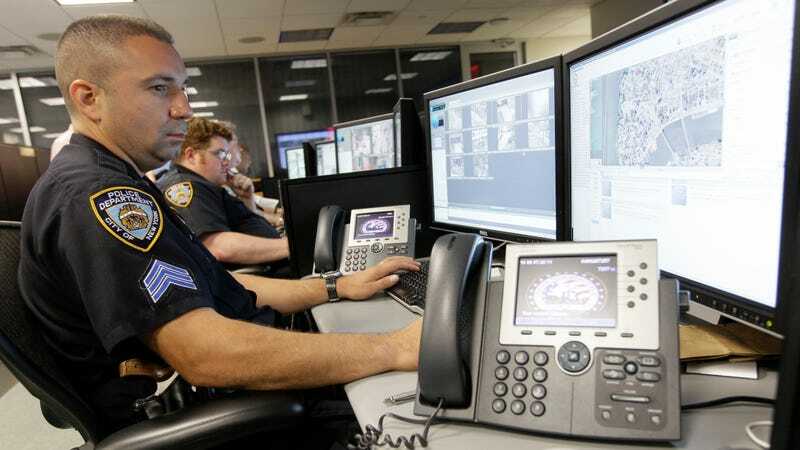 “Contrary to some published reports suggesting that NYPD does not electronically back up the data in its Property and Evidence Tracking System (PETS), all such data is backed up continuously in multiple data centers,” Deputy Commissioner Stephen Davis wrote in a statement to Gizmodo.